Headaches are one of the most common conditions that we see in practice, they can occur for a variety of reasons. Often poor posture when driving or hours spent at the computer can create tension in the muscles, ligaments, nerves and joints of the neck and shoulders. This often causes a cervicogenic headache which responds well to treatment. 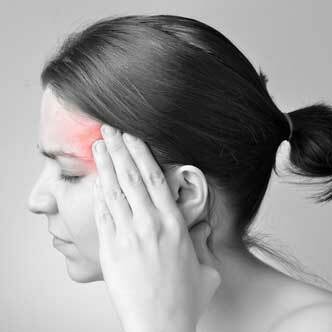 Migraine headaches can be very debilitating and are often associated with nausea, vomiting, light sensitivity and visual disturbance. They can last for just a few hours but sometimes days. They were once believed to be purely vascular in origin, but more recent research shows there to be a neurological component; an area in which chiropractors have considerable knowledge. Chiropractic treatment can help in the prevention of some patient’s migraines and often works well alongside treatment provided by your medical doctor. At Aligned For Life Chiropractic we have had some outstanding results with patients suffering from years of headaches. Dizziness and vertigo can have many causes and it is advisable to visit your GP before attending the chiropractor. If the GP has ruled out the possibility of more serious conditions then we can often help you. If the cause of the problem appears to stem from either overstimulation or degeneration of the cervical proprioceptors or their pathways, leading to an imbalance of information, this is referred to as cervicogenic dizziness. This condition will often be associated with neck pain and in approximately 1/3 of patients there is a history of trauma such as a whiplash injury. These problems and others may be helped with chiropractic treatment.